Asja Pettignano, Luca Bernardi, Thierry Vincent, Eric Guibal, Nathalie Tanchoux, Françoise Quignard, “Alginic acid foams with hierarchical porosity : promising materials for dyes adsorption”; 3° Biopolymers International Conference – 14-16 December 2015, Nantes (France). Emilia S. Streng, Ryan A. Skilton, Zacharias Amara,Michael W. George, Martyn Poliakoff “Self-Optimising Reactions in Supercritical Carbon Dioxide” 7th Green Solvents Conference – October 19.-22. 2014 , Dresden (Germany). Emilia S. Streng, Zacharias Amara, Jing Jin, Ryan A. Skilton,Michael W. George, Martyn Poliakoff “Solvents as Reagents – Reaction Discovery in Continuous Flow Reactors” 7th Green Solvents Conference – October 19.-22. 2014 , Dresden (Germany). Emilia S. Streng, Ryan A. Skilton, Zacharias Amara,Michael W. George, Martyn Poliakoff “Self-Optimising Reactions” 2nd International Conference of the Cluster of Excellence: Tailor Made Fuels from Biomass (TMFB) – June 16.-18. 2014, Aachen (Germany). Marepally Bhanu Chandra, Claudio Ampelli, Chiara Genovese, Georgia Papanikolaou, Chloe Thieuleux, Alessandra Quadrelli, Siglinda Perathoner, Gabriele Centi – “Liquid phase reduction of CO2 using metal-nano structured catalysts”, 3rd edition of the CO2 Forum “Large-Volume CO2 Utilization: Enabling Technologies for Energy and Resource Efficiency” – Sept. 25-26, 2014, Lyon (France). Olena Vozniuk, C. Trevisanut, J. Velasquez Ochoa, M. Mari, S. Albonettia, F. Cavani, J.-M. M. Millet “The chemical-loop approach in bio-alcohols reforming”, 2rd International Conference of the Cluster of Excellence Tailor-Made Fuels from Biomass (TMFB) – June 16-18, 2014, Aachen (Germany). Olena Vozniuk,C. Trevisanut, S. Albonetti,F. 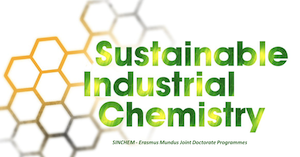 Cavani, N. Tanchoux, F. Quignard, F. Di Renzo, J. M. Millet, “The chemical-loop approach in bio-alcohols reforming”, 2nd International Symposium on Green Chemistry (ISGC-2) – May 3-7 2015, La Rochelle (France). Andrés Felipe Sierra Salazar, Tony Chave, Vasile Hulea, André Ayral, Patrick Lacroix-Desmazes “Combination of polymer latexes, sonochemistry and sol-gel route for the preparation of silica supported catalysts” 2nd International Symposium on Green Chemistry (ISGC-2) – May 3-7 2015, La Rochelle (France). Andrés Felipe Sierra Salazar, Tony Chave, Serguei Nikitenko, Vasile Hulea, André Ayral, Siglinda Perathoner, Patricia J. Kooyman, Patrick Lacroix-Desmazes “Combination of polymer latexes, sonochemistry and sol-gel route for the preparation of silica supported catalysts” 3rd International Conference of the Cluster of Excellence Tailor-Made Fuels from Biomass (TMFB) – June 23-25 2015, Aachen (Germany). Asja Pettignano, Luca Bernardi, Mariafrancesca Fochi, Lorenzo Geraci, Mike Robitzer, Nathalie Tanchoux, Françoise Quignard “From biiomass to fine chemistry: alginic acid aerogel as a heterogeneous Brønsted acid promoter for the direct Mannich reaction” 2nd International Symposium on Green Chemistry (ISGC-2) – May 3-7 2015, La Rochelle (France). Chalachew Mebrahtu, Salvatore Abate, Siglinda Perathoner, Gabriele Centi “Methanation of CO2 over γ-Al2O3-ZrO2-TiO2-CeO2 composite oxide supported Ni-based catalysts” 10th National Conference on Science and Technology of Materials, 10th INSTM CONFERENCE, 28 June-02 July 2015, Favignana (Italy). Emilia S. Streng, Zacharias Amara, Walter Leitner,Michael W. George, Martyn Poliakoff “Hide and Seek in Continuous Flow” 2nd International Symposium on Green Chemistry (ISGC-2) – May 3.-7. 2015, La Rochelle (France). Giuliana Rubulotta, Dominique Peters, Laurent Veyre, Markus Hölscher, Elsje Alessandra Quadrelli, Chloé Thieuleux, Walter Leitner “Highly selective hydrogenation of limonene over well-defined metal nanoparticles supported on silica” 3rd International Symposium on Green Chemistry (ISGC-3) – May 3-7 2015, La Rochelle (France). Marepally Bhanu Chandra, Claudio Ampelli, Chiara Genovese, Georgia Papanikolaou, Reine El Rayes Sayah, Chloe Thieuleux, Alessandra Quadrelli, Siglinda Perathoner, Gabriele Centi “Reduction of CO2 to liquid fuels using non-noble metal doped carbon catalysts in novel electrochemical devices”, 3rd International Symposium on Green Chemistry (ISGC-3) – May 3-7, 2015, La Rochelle (France). Olena Vozniuk, C. Trevisanut, S. Albonetti,F. Cavani, N. Tanchoux, F. Quignard, F. Di Renzo, J. M. Millet, “The chemical-loop approach in bio-alcohols reforming”, XII European Congress on Catalysis “Catalysis: balancing the use of fossil and renewable resources” – August 30-September 5, 2015, Kazan (Russia). Phuoc Hoang Ho, Patricia Benito*, Marco Monti, Giuseppe Fornasari, Stefania Albonetti, Angelo Vaccari “Electrosynthesized Rh Structured Catalysts for Syngas Production” 6th Czech – Italian – Spanish Conference on Molecular Sieves and Catalysis (CIS6) – June 14-17 2015, Amantea CS (Italy). Yu Zhang, Alice Lolli, Lorenzo Grazia, Danilo Bonincontro, Chloe Thieuleux, Alessandra Quadrelli, Stefania Albonetti, Fabrizio Cavani “Selective conversion of furfural to methylfuran over Mg/Fe/O mixed oxide using methanol as H transfer reactant” 2nd International Symposium on Green Chemistry (ISGC-2) – May 3-7 2015, La Rochelle (France). Yu Zhang, Alice Lolli, Lorenzo Grazia, Danilo Bonincontro, Chloe Thieuleux, Alessandra Quadrelli, Stefania Albonetti, Fabrizio Cavani “Selective conversion of furfural to methylfuran over Mg/Fe/O mixed oxide using methanol as H transfer reactant” 3nd Catalysis Renewable Sources: fuel, energy,chemicals (CRS-3)– September 6-11 2015, Catania (Italy).